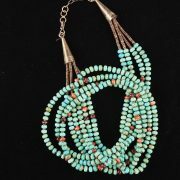 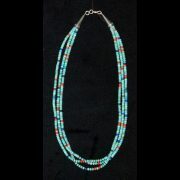 This is a stunning handmade 21-22” necklace by Angie and Kenneth Aguilar. 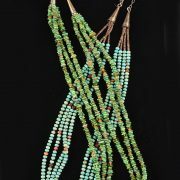 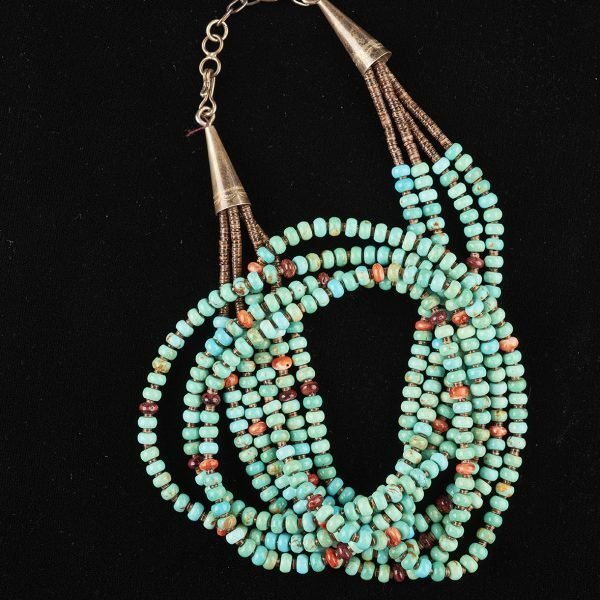 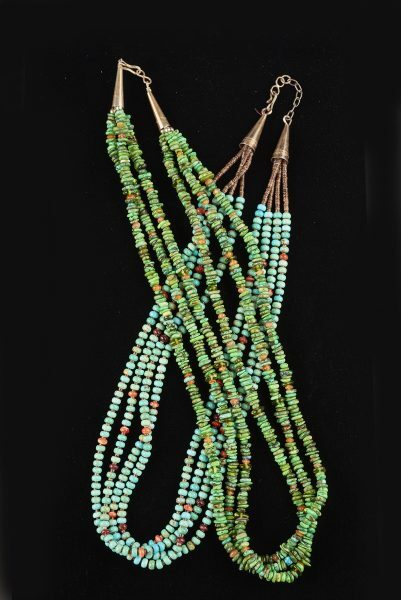 It is four strands of Nevada green turquoise with orange and purple spiny oyster round stones placed intermittently between the beautiful round turquoise stones. 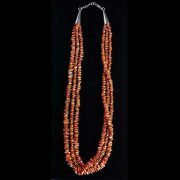 Natural brown olive shell Heishi is at the end of the strands next to the silver cones.